Apple trees are the fruit type for which there are most rootstocks. 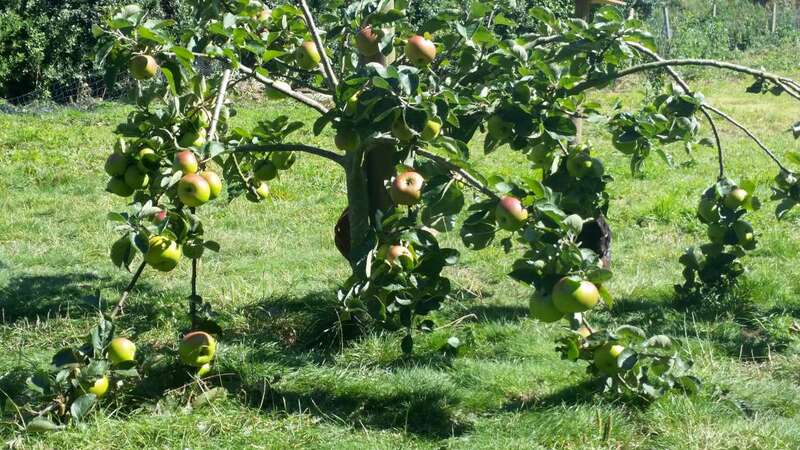 We can safely say that MM106 is by far the best and most robust stock for a mini-orchard, and so they are the best choice for inclusion in our Standard Orchard Pack and Multi-fruit orchard pack. In addition, MM106 is suitable for all soils. We don’t recommend the use of the dwarfing rootstocks M27 and M9 for several reasons. Firstly, for the average garden, M27 and M9 create a root system that is too weak to keep the tree upright in later years, when it is in full production. Secondly, the correct type of stakes necessary to stop the trees from blowing over are often unobtainable in garden centres. Third, M27 and M9 trees tend to over-produce fruit in one year, with no, or very little, fruit the following year. Lastly, the bark of M27 and M9 apple trees are the most appetizing to mice, rabbits, hare and deer, which nibble the bark in winter, leaving sick trees with too small fruit. And so to summarize, the best rootstocks to use for apple trees are MM106 for semi-vigorous trees and M26 for semi-dwarfing trees, as well as for fan, espalier and stepover trees. We do not recommend the use of M27 and M9, because they require a regime of detailed care that is generally not possible in the usual garden or allotment situation. For successful apple tree growing, MM106 is the best choice. It has proved itself over many years; it forms a healthy tree which fruits at a young age. MM106 is suitable for all soils, including heavy clay soils, provided the soil is not waterlogged.